You knew it was only a matter of time before the far-left started tossing the name of God around to justify their socialist agenda. To be fair to Kerry, he didn’t really say whose god he was referencing. It could have been the god of the greenies – GAIA, or Islam’s god – Allah, or Hindu gods – Ganesha, Shira, Krishna, Rama, Hanuman, Vishnu, Lakshmi, Durga, etc. The vast wealth that pushes the environmental movement would astound most people. There are several thousand groups, just in the U.S., involved in parting fools from their money. The foundations, corporations, organizations and individuals that back this radical movement comprise some of America’s top patrician families – the Rockefellers – George Soros – Maurice Strong – Bill Gates – Ted Turner – Prince Phillip – Prince Charles – Henry Kissinger – U.S. Government – The Trilateral Commission – the Club of Rome – the Council on Foreign Relations, ad nauseam. For the Gaia activists the theory of Global Warming has been (pardon the expression) a god send. The United Nation’s Agenda 21 and the Gaia perspective for a world without the use of fossil fuels, small sustainable human settlements surrounded by protected wild lands and governed by a central world government is utopia. They have played the global warming scam as a power grab for the ultimate implementation of a Socialist world government. 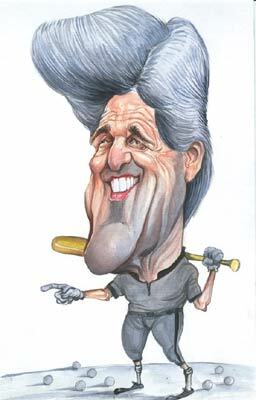 John Kerry’s leftist view, his communist affiliation during the Vietnam war era and his desire to impose his socialist views on others may make him a perfect fit for Obama, but it doesn’t give him credentials to use Almighty God as a means to steal from the American taxpayer.